my rootfs is from davygravy's NSA320 image. I was not able to run Jeff's scipts without errors. Space is 1.4Gb in rootfs. Is it possible to add ZRAM module to next kernel release, iv used it in arch arm on low memory devices. Otherwise kernel is working great on my goflex home. Edited 1 time(s). Last edit at 11/11/2013 01:00PM by ricke. No problem. Will do that. I managed to get a booting kernel, though still having the same software issues. Thanks for your help bodhi, I will raise it with the strongswan software devs...It only seems to work every few releases which is totally frustrating. Edited 1 time(s). Last edit at 11/11/2013 03:59PM by gee-man. Are there great performance improvement with zram ? Well, i don't know if i would call it great performance. 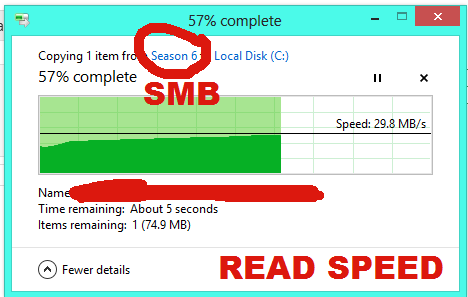 It depends on your cpu/ram and workload and alot of other things, if your using swap on slow flash media with a device that has low ram and is expected to swap then yes i would call ZRAM a great improvment as ram even compressed is alot faster. Edited 1 time(s). Last edit at 11/12/2013 12:47AM by ricke. Sorry, I'm out of ideas :) not sure what's in your rootfs would cause the auto-removal like that. We've tried the apt configuration files that I'm aware of. Can I use your patch on kernel 3.2 for POGO-E02 LED ? I have Logitech Sphere pan/tilt with Motion working well for years under 3.2.0 on pogo-E02. I have been using your kernel on other and I really like it. So I have tried your kernel and others for Logitech Sphere pan/tilt with Motion, the problem is the wencam works fine but the pan/tilt stop working. I found the kernel higher than 3.2 then pan/tilt stop working. So I wonder if I can use your pacth on kernel 3.2. It might work, but I'm not sure, though, because it was a little old. In fact, I have 3.2.26 and 3.2.28 kernels saved in my build folder! I could take a look to see how different the patch is for Pogo E02. But if you want to try the kernel 3.2.28 as it was built, then let me know and I'll upload it. In the mean time, could you verify that you are running the latest uBoot? (it is not absolutely necessary, since my kernel config took care of the old uBoot L2 cache problem, but it's good info to know). Yes my POGO-E02 has latest uBoot. I would like to try your 3.2.26 and 3.2.28 kernel, I really appreciate your help. I forgot :) I've already uploaded kernel 3.2.28 back in March. Try this and see if it has what you need. Your Kernel 3.2.28 works, I set machid to dd6 then I have the LED in Green, and the pan/tilt work,too. Cool! Glad it works well for you. Edited 1 time(s). Last edit at 11/24/2013 11:14PM by bodhi. Thank you bodhi, kernel module seems to work fine. 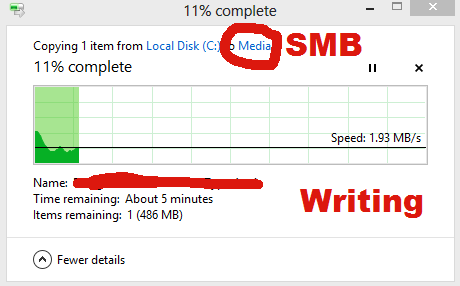 Im using zRAM as swap and priority over disk based swap, i need my mechanical disks to spindown and swap on a flash usb drive is to slow to be usable. I usually only compress between 25-50% of total RAM and use one blockdevice per cpu or core. On my GoFlex Home running Samba, Minidlna, Vsftpd, Transmission-daemon im using 35% of RAM for zRAM. Adjusting vm.swappiness is probably a good idea depending on services running and memory usage. A working init.d script that autodetects number of cores, sets swap priority to 100 and lets you override the script default size with env ZRAM_USE_PERCENT etc. A useful script for checking zram device stats can be found here. Thanks for the info ricke. Little off topic but why doesn't /var/log/messages gets updated with any actions ? Welcome back! hope the life gear has shifted into a happier and better times for you! It would be great if you also enabled zswap support. It uses a dynamically allocated pool of RAM to divert pages that would be swapped to disk and instead compresses them and stores them in RAM. I'm honestly not sure exactly how it differs from zram, but my impression is that it is more flexible and transparent that putting swap on a zram device, since the system can push compressed pages to disk if the RAM is needed. I'm thinking of trying both out. Sure, will add zswap to the next update. I think it is a little more flexible than zram in that it can age out the pages to disk. > gets updated with any actions ? It's in the instruction in first post. syslogd logs to RAM. how can i get the hdd led's working on the nsa320, ide-trigger doesn't seem to work any more. > ide-trigger doesn't seem to work any more. There is so little info in your post so we have no way to know how help. What kernel you're using? what do you boot with (USB, HDD)…., what did you see before updating …..and any log file. > > ide-trigger doesn't seem to work any more. > way to know how help. What kernel you're using? > see before updating …..and any log file. pbg4 had a shell script that use ide-trigger for the LED's but it no longer works, ide-trigger is invalid argument. I am using the latest version on the first post. EDIT: o i see its ide-disk1 and ide-disk2 not just ide-disk, still doesn't seem to work though. EDIT: i got it working but i can't get it working on boot using rc.local any suggestions? How can i get this working on debian? It is possible to shutdown the box by pressing power button. i can't seem to compile input-event-deamon. Edited 6 time(s). Last edit at 11/30/2013 10:05AM by fma965. Kernel 3.12.0-kirkwood-tld-3 package was uploaded. Please see 1st post for download link. Thanks. I added zswap.enabled=1 to the boot parameters and it looks like it is working. Memory pressure on my system isn't all that high, but it does seem to have succeeded in avoiding writes to the physical swap. I realize that a lot of the memory usage on this box is for read caching various structures, like inodes. So, I'm not sure that zswap is going to be a big win, but it is good to have the option and I plan to leave it running. Bodhi could you upload a rootfs with the latest kernel that supports the nsa325? im not at home at the minut so cannot setup a 32bit vm to mess around with it. I tried compileing my own kernel with the patch and config from your latest kernel but got the same result. Edited 1 time(s). Last edit at 12/13/2013 02:41PM by Buttzy10169. I will upload a new rootfs tonight. Your problem is still in uBoot. Nothing about kernel yet. Check the arcNumber for NSA325. It should match the machid. I will have a check now. what should i look for? ans at the moment I have arch linux booting on it with arch's stock kernel. (that comes with the nsa325 instructions on the arch linux arm site. what toolchain do you use for compileing your kernels is there any special commands im missing out on? I used to build kernels for my ix2-200 (before i bricked it) using the codesourcery toolchain. i see a loadaddress set in the uboot config loadaddr=0x02000000 is that specific do i have to use that one? and for the uInitrd is / will that be specific aswel? oh and the arcNumber=4495. Edited 2 time(s). Last edit at 12/13/2013 03:50PM by Buttzy10169.